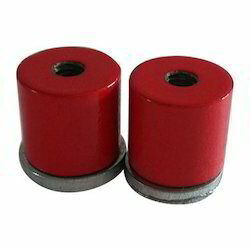 Pioneers in the industry, we offer alnico pot magnets and ferrite pot magnets from India. Counted among the prominent manufacturers and suppliers, we are engaged in providing Alnico Pot Magnets. We are manufacturing these magnets in different specifications using quality-assured aluminum and basic materials at industry leading prices. Post-production, these magnets are checked on various parameters to ensure flawlessness. Tapped hole on the back side. 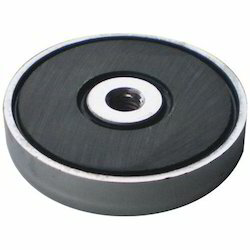 Reckoned in the industry as one of the eminent organization, we are manufacturing and supplying a wide array of Ferrite Pot Magnets. Encased in steel pot, the offered magnets are designed in adherence to the industry set guidelines to attain highest benchmarks of quality. To meet the exact requirements of customers, we are offering these magnets in different specifications. Looking for Holding Magnets ?